Colin Kaepernick made headlines this year when he wouldn’t stand for the National Anthem because of cops and slavery. 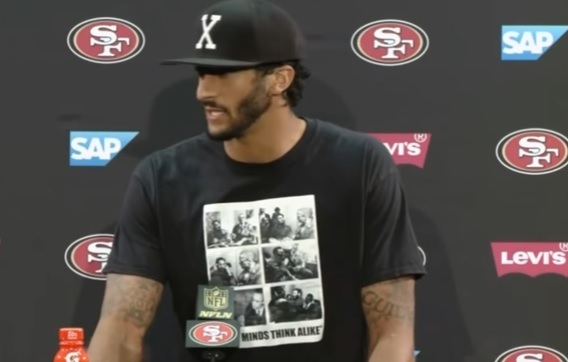 This week before his NFL game in Miami Colin Kaepernick was seen wearing a Fidel Castro T-shirt. 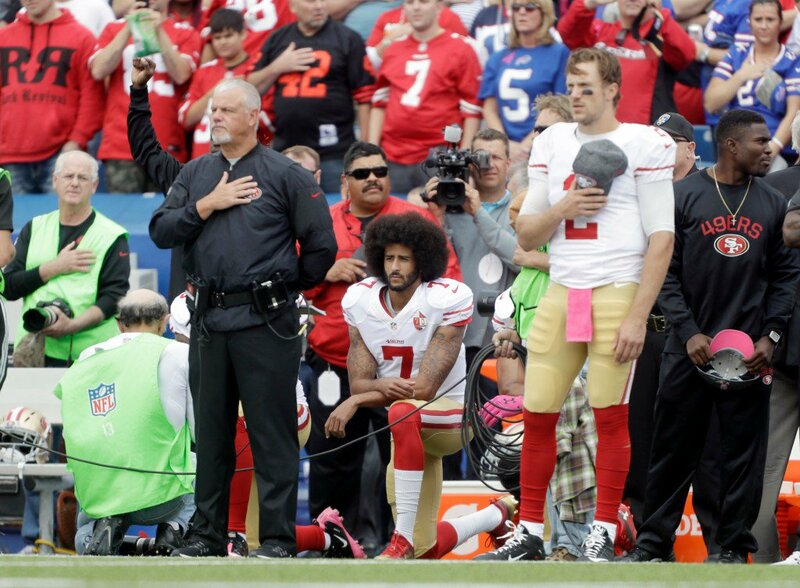 Today Kaepernick was booed loudly when he entered the game against the Dolphins. Cuban American NFL player Kiko Alonso stopped Kaepernick at the 2 yard-line to win the game for Miami. San Francisco 49ers quarterback Colin Kaepernick was jeered during his team’s game against the Miami Dolphins Sunday after making comments that praised late Cuban dictator Fidel Castro during the week. There were loud boos from the crowd when Kaepernick and the rest of the 49ers offense trotted onto the field for their first series, and more jeers just before the first down snap. Kaepernick, who has kneeled during the National Anthem all season to protest police brutality and the treatment of minorities, defended Castro during a conference call Wednesday with South Florida reporters. Kaepernick defended his statements after the game, which the Dolphins won, 31-24, after he was stopped two yards short of the potential game-tying touchdown. One of the Dolphins defenders in on the game-saving tackle of Kaepernick was linebacker Kiko Alonso, whose father was born in Cuba and fled the Castro regime.